Toronto pop weirdos the Holy Gasp are gearing up to reissue their album The Last Generation of Love this month and have lined up a small run of dates through Ontario and Quebec to celebrate the occasion. 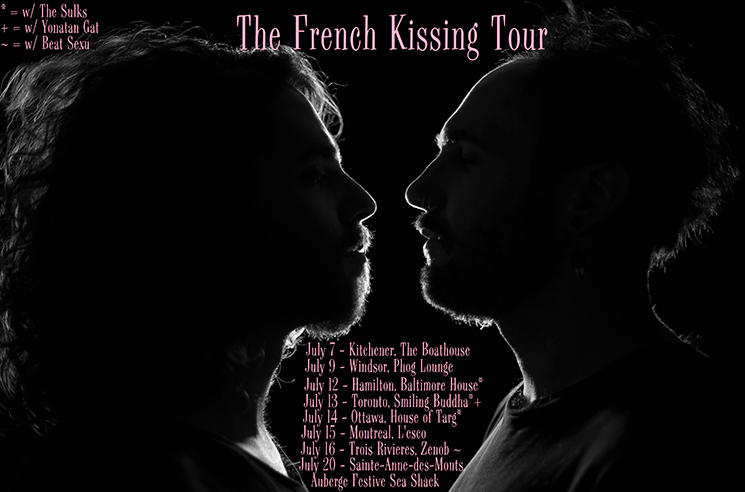 Dubbing the trek "The French Kissing Tour," the band will be on the road throughout July making stops in Kitchener, Windsor, Hamilton, Toronto, Ottawa, Montreal, Trois-Rivieres and Sainte-Anne-des-monts. A handful of dates will be shared with the Sulks, while the band will share a stage with Yonatan Gat and Beat Sexu in Toronto and Trois-Rivieres, respectively. The reissue of The Last Generation of Love arrives June 13 on CD and cassette, and can be found here. You can find the band's complete tour itinerary and video for album cut "A Daily Affirmation" below.